Your imagination isn’t playing tricks on you. Gas prices are rising at an alarming rate. In fact, the average gas consumer is paying at least 30 cents more per gallon than they paid a year ago. 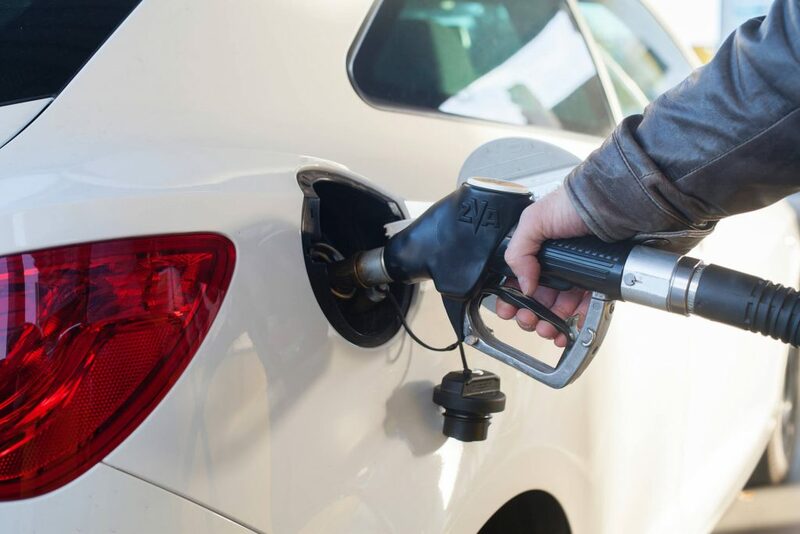 According to The American Automobile Association (AAA), you can expect to see a significant increase in gas prices by the beginning of the summer. Depending on the area in which you live, you may have to pay over $3 for a gallon of gas. There are two factors that are responsible for the soaring gas prices. Oil production has decreased in Organization of the Petroleum Exporting Countries (OPEC). The price of oil has increased significantly. It’s not enough to know the reasons for gasoline price hikes. You must know how to lessen the effects of the elevated gas prices on your family’s budget. When it comes to saving money on gasoline, you aren’t helpless. Here are a few tips that will help you fight killer gasoline prices at the pump. 1. Download a gas app. Long gone are the days in which you could just pull up to the gas pump and hope for the best. Now that gas prices are increasing, you have to be proactive about your gas purchases. Apps such as Fuel Finder can help you find the cheapest gas prices in your area. By clicking a button, you can compare gas prices at local gas stations. This will help you determine whether it makes sense to purchase gas in your neighborhood or near your job. Depending on the average price of gas in your area, you can save at least 20 cents per gallon. If you fill up a 25-gallon vehicle, that means you can save $5 at the pump. When it comes to keeping your gas budget in check, saving small amounts of money can help. 2. Look for gas purchase incentives. At some gas stations, it can cost you more money to pay for gas using a credit card. It makes sense to use cash if it results in a significant savings on your gas purchase. If you have a cash-back credit card, use it to make purchases. You are sure to save money as long as you remember to pay the balance before the end of the billing cycle. Some gas stations such as Exxon and Shell offer gas reward programs. To maximize this opportunity, enroll in as many of these programs as possible. 3. Purchase gas on specific days of the week. Does your local gas station offer discounts for purchasing fuel on Wednesdays? If so, it might be a good idea to purchase gas on that day. Take a few moments to make a list of local gas stations that offer discounts on special days. Record the information on the calendar in your smartphone. Refer to your calendar often and buy gas on those days. 4. Sign up for gas reward programs at your local grocery store. Many grocery stores partner with gas stations to provide incentives for people who purchase food from their stores. For every $100 that you spend, you will receive a discount on each gallon of gas that you purchase. The best part about this program is you can save money on gas when you purchase items that you normally purchase. You don’t have to go out of your way or buy anything special to benefit from these programs. 5. Drive your car less. If you live within a few miles of your job or favorite markets, you can walk or ride your bicycle. Not only will this help you save money on fuel, it can help you stay fit. Instead of driving alone, consider starting a car pool. You can share the driving (and expenses) with a co-worker or a friend. This will make it easier for you to drive your vehicle less. 6. Obey the speed limit on the roads. Are you aware that speeding increases the amount of fuel that your vehicle burns? According to a report by the Department of Energy, fuel consumption dramatically increases every 5 miles that you go over the speed limit. Drive the speed limit and watch the savings add up. 7. Don’t store heavy items in your trunk. When your vehicle transports additional weight, it has to burn additional fuel to transport these items. Take a few moments to go through your trunk. Remove any items that don’t belong in the trunk. Set aside a day or two during the week to run errands. If your dry cleaners and grocery store are located in the same area, take your clothes to the cleaners and purchase groceries on the same day. Many people make several unnecessary trips to stores throughout the week. Combining errands will keep your gas tank full. The gasoline pump doesn’t have to derail your financial goals. Apply these tips and you can push back against the effects of killer gas prices.